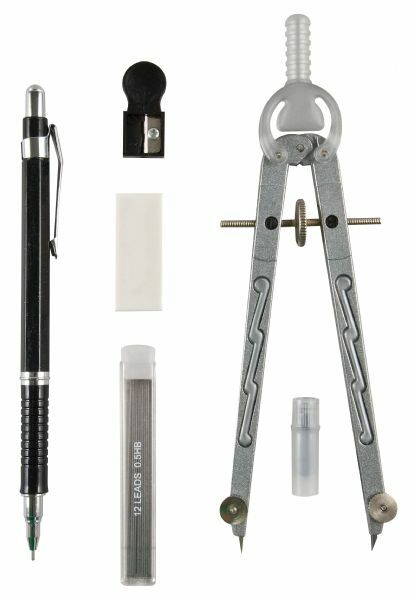 Similar in construction to No.704 but also includes a 0.5mm fineline pencil tube of 0.5mm lead small white eraser and 0.2mm sharpener. * Assorted colors no choice. The circle diameter max is 1/2" - 10". Circle Diameter Max: 1/2" - 10"
7.25" x 3.5" x 1"